Country Visions is a diverse cooperative with multiple locations throughout Northeast Wisconsin servicing and supporting the local communities we live and work in. We offer cutting edge technology, best in class services from an expert staff, and strive to maintain profitability for our cooperative and its members. We are conscious of our customers’ needs as we find the products, provide the service and offer the solutions to help them grow and prosper into the future for the next generation and beyond. Without a doubt, every year, cabs of farm equipment are filling up with more technology to display layers of information and fine-tune machinery operations. The picture above is becoming a more common view as agriculture continues to evolve as seemingly light speed. Your Country Visions agronomist has access to a powerful function that can help you understand how specific corn hybrids and soybean varieties perform in conditions like yours. No Yield Monitor? No Problem! John and Brooke Kraus are the owners of K&K Homestead in Malone, Wisconsin. They represent the 6th generation of a family that started their farming legacy in 1872. Farming just seemed to be the “right fit” for John after school. John and Brooke took over the farm in 2009. K&K Homestead is a Dairy and Crop operation. John said he switched to a compost barn system in 2010. He likes the efficiency of it and the improved cow comfort. John’s favorite part of his job is milking the cows, so accordingly their comfort and care is one of his top priorities. John and Brooke’s children keep them pretty busy. They have 6 kids, including 2 sets of twins. The kids enjoy being a part of the farm and they are also heavily involved in sports. Their active schedules of work, school and sports fill up their days, so there isn’t much of a chance for additional hobbies and affiliations right now. Thank you to John for sharing the story of his family farm for this week’s Farmer Friday. It sounds like he has a passion for both farming and family. Best wishes for a successful future for John, Brooke, their children and K&K Homestead! Brain studied and graduated from UW-River Falls with a Bachelor’s Degree in Agribusiness, and started working for CVC in 1989. His favorite part of his job is helping growers figure out how to do things better and being challenged on how crops grow. Brian’s interest in agriculture sparked from walking his uncle and the Pioneer agronomist out in their corn fields when he was in high school. He was amazed at what the agronomist was telling him about how the crop was developing and what was going wrong. 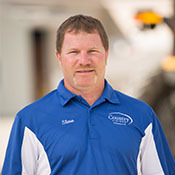 Tim has an Associate’s Degree from Fox Valley Tech, and started working for CVC in 1995. 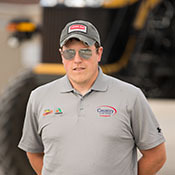 His favorite part of the job is being outside and troubleshooting field issues, and his interest in agriculture from driving equipment on a farm. 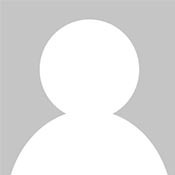 Rhonda Schoenick has been with Country Visions cooperative since 1996. Her interest in agricultre was sparked by a desire to live in a rural community. Her favorite part of the job is working with growers and helping them achieve their goals. Mark received an Associate’s degree, and started at CVC in 1999. His favorite part of the job is working with a variety of agricultural crops. His interest in agriculture was sparked because after a factory job, needed to get back to mostly outside work. Eric received a Bachelor’s of Science Degree in Biology and Psychology, and started working for CVC in 2008. 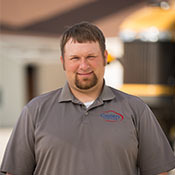 His favorite part of the job is planting and harvest time, and his interest in agriculture sparked from when he started working on his neighbor’s dairy farm when he was 10 and since then he was involved ever since. 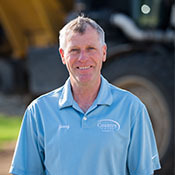 Jon received a Bachelor’s Degree from the University of MN, and started working for CVC in 1990. His favorite part of the job is the variety, because the industry is constantly changing and always learning something new. His interest in agriculture sparked from working on his parent’s farm and starting his own farm projects. Jon has 35 + years of experience. Ben received an Associate’s Degree in Agribusiness and Science Technology. He started working for CVC in 2012. Ben had been apart of the industry prior to starting his career at CVC. His favorite part of the job is working with the growers, planning and implementing the plans to see if we can maximize their yields and profits. Ben’s interest in agriculture sparked from spending time and working on family member’s farms from young on. The equipment and the crops, the amazement of how you can plant a tiny little seed one month and in 5-6 months be harvesting that bountiful crop, kept him interested. 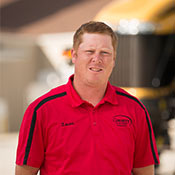 Sean is from Chilton and has an associate’s degree in Agribusiness Science Technology from Fox Valley Technical College. While there, it sparked a big interest in soil health, soil organisms and making the soil work for you. Sean grew up working for a neighboring dairy farm from an early age. He is active in many community organizations and strives to make agriculture a better way of life. He looks forward to working with you in your operation. 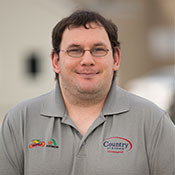 Sean Stared working for Country Visions in March of 2018. 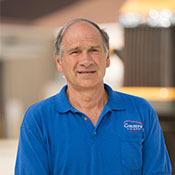 Jerry started his career with CVC in 1978. His favorite part of the job is working closely with all the local producers to make them profitable .They really are some of the nicest people you will ever meet . 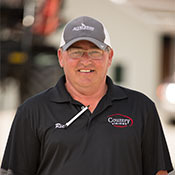 Makes going to work enjoyable.His passion for the industry was sparked by being born and raised on a dairy farm near St. Peter in Fond du Lac county. Jerry had the opporuinity to work at a factory straight out of High School, but quickly found out that wasn't for him. He really enjoys the fact that there is something new everyday at the coop. Robert received a Bachelor’s of Science Degree in Soil and Crop Science, and started working with CVC in 2015. His favorite Getting the next growing season started by delivering seed and his interest in agriculture sparked from growing up on a farm. Robert has been in the industry for 20+ years. 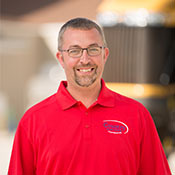 William has an Associate’s Degree in Agribusiness and Science and Technology from Fox Valley Technical College and started working for CVC in 2016. His favorite part of the job is crop scouting and his interest in agriculture sparked from growing up on a farm. 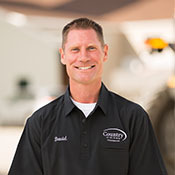 David has a Bachelor’s Degree in Agronomy from UW-River Falls, and he began working at CVC 1999. His favorite part of the job is Scouting and assessing fields. David’s interest in agriculture sparked from growing up on a dairy farm. He enjoys the fulfillment of servicing growers with the best cropping practices to achieve top performing crops. 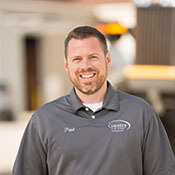 Paul has a Bachelor of Science Degree in Agronomy from UW-Madison, and started with CVC in 2003. His favorite part of the job is how agronomy continues to change as the technology and products evolve over time. We are never done learning about or improving our crops, which will always keep the job challenging and interesting. Paul’s interest in agriculture sparked from growing up on his family farm, and he’s been interested as long as he can remember. He always enjoyed working in the fields every summer, and the science behind it all has always fascinated him. 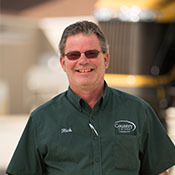 Paul was a part of the WinField United Agronomist Training and he started working with CVC in 1992. His favorite part of the job is talking to growers after a good year, Paul’s interest in agriculture started by working for the Coop in high school, working with growers, employees. He has been in the industry for 25 years. Eric received a Bachelor of Science Degree in Chemistry from Marian University and started with CVC in 2013. His favorite part of the job is working with a diverse group of clienteles and helping them through the trial and tribulations of farming. Eric’s interest for agriculture sparked from working a small dairy when he was younger and he really enjoyed all the aspects that went into that job. Steve has a Bachelor’s of Science Degree in Soil Science from UW-River Falls and started with CVC in 2008. 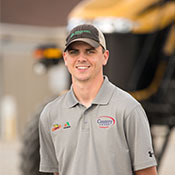 His favorite part of the job is crop scouting and his interest in agriculture sparked from growing up on a hobby farm and from working on a neighbor’s dairy farm throughout high school. 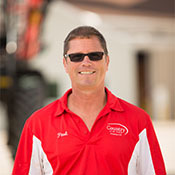 Kevin studied agronomy at UW-Madison, he started working at CVC in 2000. His favorite part of the job is working with the awesome customers and employees here at Country Visions. 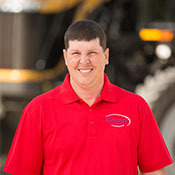 Kevin has been a part of agriculture his whole life, he grew up on a dairy farm in Van Dyne, and he loves working outdoors with crops and animals. 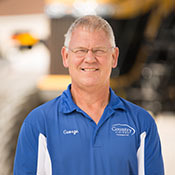 George has a Bachelor’s of Science Degree in Plant and Soil Science from UW-River Falls, and started working at CVC in 1996. His favorite part of the job is solving farmers crop production issues, also his interest in agriculture sparked from his family farm. 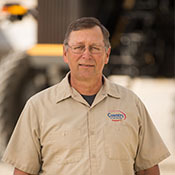 George has been in the agriculture industry for 35 + years. 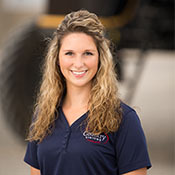 Brittany Newman graduated in December of 2018 from the University of Wisconsin Platteville with a Bachelor’s Degree in Agricultural Business. 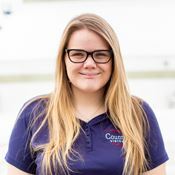 She was an intern at Country Visions for two summers (2017 and 2018) in Malone, before she started working for the Country Visions fulltime in January of 2019. Her favorite thing about being an agronomist is being outside scouting fields; every day is different so she get to challenge herself. Her interest in agriculture sparked from growing up on a 300 cow dairy, and now she is slowly starting to build her own herd of Brown Swiss. Josh got a degree from UW-Madison, and started in 2001 with CVC. His favorite part of the job is working with his awesome coworkers and customers. Josh’s interest in agriculture sparked from growing up on a farm. Katelyn received a degree in Environmental Policy and Planning and Public Administration, and started working with CVC 2014. 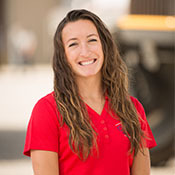 Her favorite part of the job is working with the growers to better their operation and the variety of tasks agriculture offers during the growing and harvest seasons. Katelyn’s interest in agriculture sparked from growing up in a rural farming community and the desire to work in the fields. 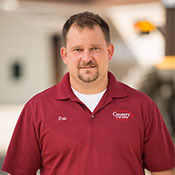 Chris received a Bachelor’s Degree in Agribusiness from UW-Platteville, he started working with CVC in 2015. His favorite part of the job is being able to work closely with the growers. His interest in agriculture sparked from growing up on his family’s farm. Brian graduated from UW-Madison, and began working in the industry following graduation. Brian started working for CVC in 2014. His favorite part of the job is the change of work through the different seasons. Brian’s interest in agriculture sparked from growing up on the farm. Michael received his Bachelor’s of Science Degree in Soils and Crop Science from UW-Platteville and he started with CVC in 1992. He’s favorite part of the job is IDing weeds, also the challenge of making winter planning happen in spring planting. 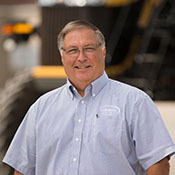 Mike’s interest in agriculture sparked from wanting to help feed the world; he has been a part of the agriculture industry for 30+ years. You might recognize Mike as he stars in Country Visions Mike on Monday! Casey received a Bachelor’s Degree in Soil Science, Animal Science and Field Biology at the University of Wisconsin-River Falls in May of 2017. She began working at CVC in 2016 as a crop scout intern. She loves learning about soil properties and biology, as well as being outside in general. She enjoys the diversity of her job; applicating, soil sampling, crop scouting, NMP planning and working with growers on a daily basis. Casey’s lifelong passion for horses sparked her interest in agriculture at a young age. Jennifer received a Bachelor’s Degree at the University of Wisconsin-River Falls in 2016. She began working at CVC in 2016. Her favorite part of the job is being able to meet a lot of the customers; seeing their passion for the Agriculture industry inspiring. 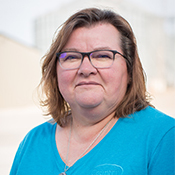 Her interest in the agriculture sparked from milking cows, operating a pea harvester, and currently owning and operating a cow-calf beef operation in addition to working at CVC. Rick attended UW-Oshkosh for two years and proceeded to serve in the miltary. 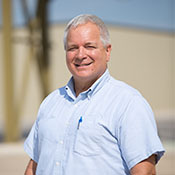 Following his service, Rick started at CVC in 1989. His favorite part of the job is the spring rush, his cliental and that no day is ever the same. Rick’s interest in agriculture sparked from being on a dairy farm and then having this opportunity to work for the Coop. 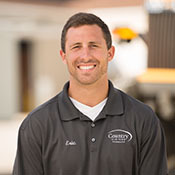 Lucas received an Associates degree from Fox Valley Technical College.Following graduation he worked in the industry a few year prior to starting his career with CVC. He started working for CVC in 2007. His favorite part of the job is putting a plan together with a grower to maximize yield, and then hopefully seeing it come together. He grew up farming and that’s what sparked his interest in agriculture. 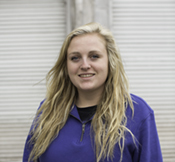 Rachel has an Associates in Agribusiness Science & Technology emphasis on Agronomy and Dairy Science. She started working at CVC in 2018. Her favorite part is getting out and talking to the customers and seeing their passion, she enjoy scouting fields since there’s nothing better than getting outside, checking fields and finding something new and watching the crops grow week after week. Her interest in agriculture sparked from a young age growing up in the industry milking cows, raised steers, and helping in the fields. 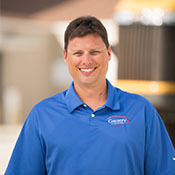 Jeremy received a Bachelor’s of Science Degree in Agronomy from Iowa State University, and then started in 2003. His favorite part of the job is working with customer and employees to be successful. Jeremy’s interest in agriculture sparked from working outdoors and in a diverse career. 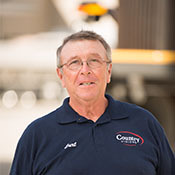 Curt started with CVC in 1972 and his favorite part of the job is customer relations and the ongoing challenge and being able to work outdoors. 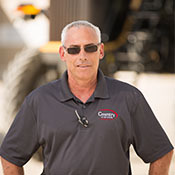 Curt’s interest in agriculture was sparked from being born with a green thumb, and has been in this industry for 45+ years. Rick started working for CVC in 1991, and has a lot of on the job training. His favorite part of the job is the busy season, not one day is ever the same, and his interest in agriculture sparked from just really enjoying farming. 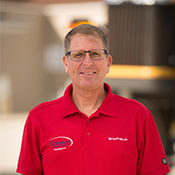 Rick has been a part of the industry for 30+ years. 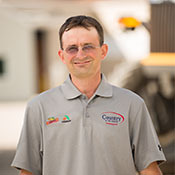 Galen received a Bachelor’s Degree in Agribusiness from UW-River Falls, he started working at CVC in 2003. His favorite part of the job is that one day it’s never the same, every day is different. 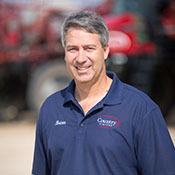 Steve received a Bachelor’s of Science Degree in Agronomy from the University of Illinois. Following graduation, Steve worked in the industry for a number of years before beginning his career at CVC. He began working at CVC in 2010. His favorite part of the job is interacting with farmers and scouting fields. Steve grew up on a grain farm in Illinois where they grew 350 acres of seed along with 2000 acres of corn and soybeans. He enjoyed walking the seed fields with agronomist and diagnosing problems with diseases and insects. 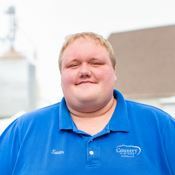 Adam graduated from UW-Platteville with a Bachelor’s Degree in Agribusiness and Soil and Crop Science. 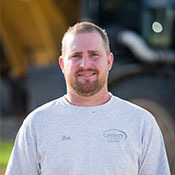 He began working at CVC in 2014 and his favorite part about the job is the people, he has a great group of co-workers, and he enjoys working with his growers and their families. 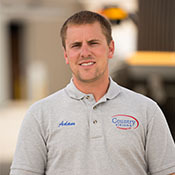 Adam’s interest in agriculture sparked from growing up on his family’s farm and helping on the farm from an early age. Before Adam was an agronomist he also worked in agricultural lending. Jessy graduated from Fox Valley Technical College and he started working for CVC in 2012. His favorite part of the job is crop scouting, consulting, spreading fertilizer, Jessy likes every aspect of his job, it is too difficult for him to choose just one. He grew up on a farm and that’s what sparked his interest in agriculture. 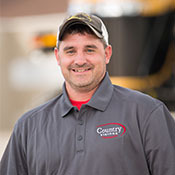 Josh received an Associate’s Degree from Fox Valley Technical College, and started working at CVC in 2014. His favorite part of the job is working with the farmers helping them make decisions, and his interest in agriculture sparked from growing up on a farm and how he enjoys all aspect of the industry. Jason graduated from UW Stevens Point and started working for CVC in 2002. His favorite part of the job is that no two days are the same and he enjoys facing challenges, sharing advice and contributing to the grower’s success. Jason’s interest in agriculture sparked from growing up around his grandparent’s farm and he has always enjoyed the crop aspect of it. Jesse started working with CVC in 2000. His favorite part of the job is the busy season, working outside in the fields, and the accomplishment of a great season yields for our growers. Jesse’s interest in agriculture sparked from growing up in agriculture. While in high school, he was sold in FFA fundraising project to work 20 hours for free. Progress Farmers Coop (now known as Country Visions Coop) happened to purchase Jesse's labor from this fundraiser at the time. 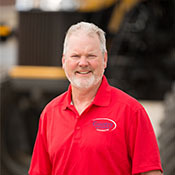 Jesse has now been apart of the industry for 30 + years. 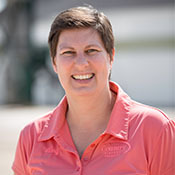 Loree has a Bachelor’s of Science Degree in Soil and Crop Science and a Master’s of Science Degree in Weed Science and Site Specific Weed Management from Purdue University. 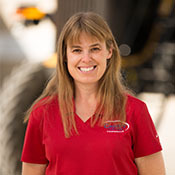 Her favorite part of the job is everything, she believes she has the best job anyone could ask for, she loves walking fields, riding in combines, winter planning and talking to the farmers. Loree’s interest in agriculture sparked from growing up on a farm in Southern Indiana and has wanted to do this since she was 13. She has been in the industry since 1999. Steve received a Bachelor’s of Science Degree in Soil and Crop Science from UW-Platteville, and started working with CVC in 2002. His favorite part of the job is the agronomic work activities, field scouting, soil sampling, etc. Steve’s interest in agriculture sparked from working with crops from an early age in life and from growing up in a rural environment. 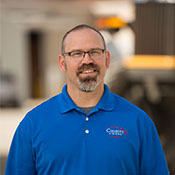 Mike started working with CVC in the spring of 2018. He graduated from UW - River Falls in May of 2017 with a B.S. Degree in Agricultural Business and a Minor in Crops. His favorite part about the job is talking to and meeting new customers while helping them reach their goals on their operation. Mike’s interest in agriculture has been with him since he was a child, where he spent most of his free time helping on his grandparents’ farm. Mike currently holds the CCA certification. Tyler started working with Country Visions in March of 2015. 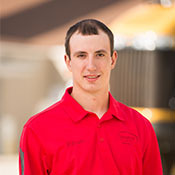 He graduated from UW – Stevens Point in May of 2013 with a Bachelor’s of Science Degree in Soil and Land Management, with an emphasis in agronomy. His favorite part about being an Agronomist/CCA is helping his farms reach their goals year after year. Tyler’s interest in agriculture has been with him since he was a child, were he helped out on farms in northeast Wisconsin. 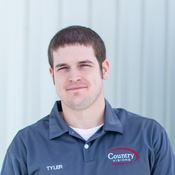 Tyler currently holds the Wisconsin and International Certified Crop Advisor (CCA) certification. 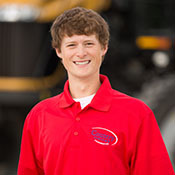 Tyler has been a part of the agriculture industry for 6 years.